Read on to discover the health benefits and possible considerations of eating sushi. Sushi served at Sweet Ginger Asian Bistro in West Palm Beach. 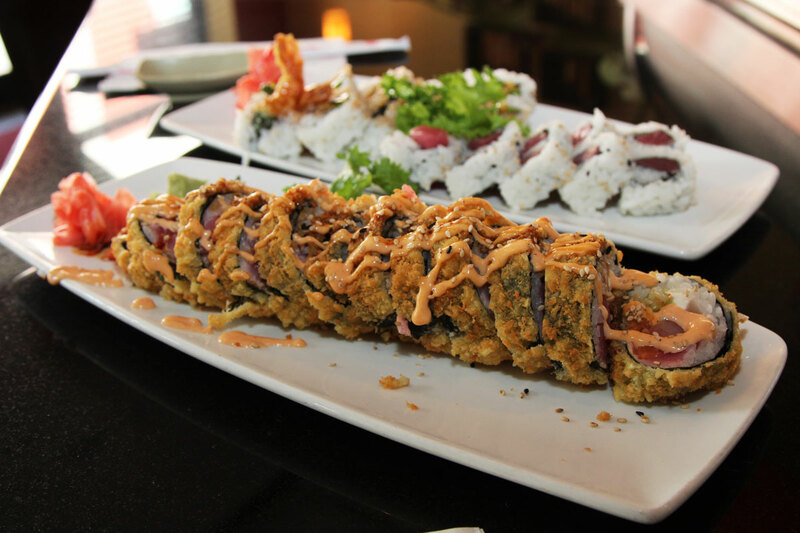 Many people are so fanatically in love with sushi. I have known others who say they don’t like it. Well, that happens with every rule under the sun – there’s different taste and color for everyone. But stay true to the facts. People like having Sushi for being a healthy way of eating, specially because it uses all the foods in its natural form. And if you are vegetarian, vegan, or just guilty about eating meat, it is a food you can’t put down. There are some things you should know before ordering. Sushi comes with all the health benefits you’d expect from fish, like omega-3 fatty acids and lean protein; but the problem is sometimes the wrap in which it comes in. Also, a sushi mostly consists of rice, which is just fast carbohydrates, and raw fish that can transmit infectious diseases if you do not choose a very well run establishment. Other than that, sushi is very tasty and a bonus for those who can’t cook anything without burning it. But the most obvious point, the nutritional value of fish, praised by nutritionists for their neurological and cardiovascular health benefits, including preventing high blood pressure, and lowering cholesterol levels, just to mention a few. Sardines, mackerel, and salmon are all particularly high in omega-3 content, and all are also mainstays of sushi restaurants. Everyone has their own go-to comfort food, but if you are reading this, better than a heap of spaghetti and meatballs regularly, you should consider eating sushi more frequently because it is a lean choice of food. Whether you are using chopsticks, or using your hands, it is also entertaining. Dipping your sushi in the soy sauce, adding the wasabi, picking out your favorite items, everything you do makes eating sushi fun. Made with fresh raw fish like salmon, tuna or trout. Vegetable rolls such as cucumber, asparagus, or avocado. Rolls with brown rice instead of the traditional white rice. California rolls made with real crab. To maximize the flavor, try eating the fish in a certain order, starting with a white fish, then onto a silver one and finally make your way to the red and last, the fish with the heavier taste, such as salmon. The fattiest fish comes last. The idea of eating choices with a lighter flavor and then move onto fish with a heavier flavor is because you will keep the heavier fish flavors – such as fatty tuna – from overpowering the lighter ones, such as snapper. Also, don’t forget the fresh or pickled ginger provided with virtually every sushi dish is to cleanse the palate between different cuts of fish, or at the end of the meal. Heaping it on top of a slab of fresh tuna or yellowtail makes it impossible to taste the actual fish. If you don’t mind, take this last advice. Do not take more than a bite. Sometimes a piece of sushi can be too large for one bite for some people. But not only can breaking up a piece of sushi cause a great mess, it is also considered bad etiquette. So, if you like eating sushi, you are not all in the wrong. If you haven’t, today will be a good start. The Japanese staple is great for many health improvements: muscle building, stress busting, afternoon focus, and even hangover cure. A healthy food. If you’re not convinced yet, we have some reasons why you should eat sushi. Your health and aesthetic life will be forever changed.